Premier League rivals Manchester United, Arsenal and Tottenham Hotspur are reportedly interested in signing Danish international Joachim Andersen. According to a report by Italian outlet Calciomercato, Joachim Andersen is the subject of interest from a trio of Premier League heavyweights. The likes of Arsenal, Manchester United and Tottenham Hotspur have scouted the Sampdoria defender, who also has admirers in Serie A and Bundesliga. 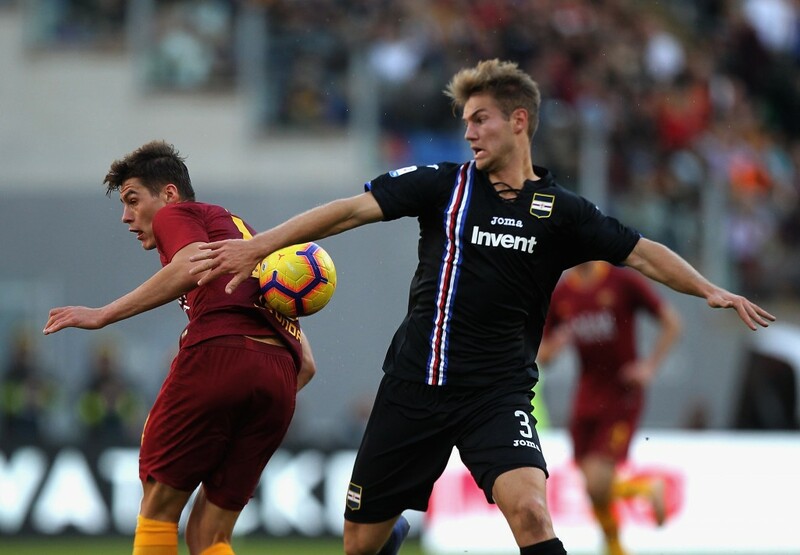 Joachim Andersen has made steady progress since joining Sampdoria from FC Twente in the summer of 2017. While he barely featured in his maiden campaign with the Serie A outfit, the Danish international has gone on to become an indispensable figure this season, having played every league game he has been available for. His solid showings in defence have not gone unnoticed, with a number of top clubs monitoring his progress over the course of this season so far. In particular, a lot of the interest is coming from Premier League clubs, with Arsenal, Manchester United and Tottenham scouting Andersen. At Arsenal, Unai Emery has plenty of central defensive options at his disposal. But, a close inspection shows that captain Laurent Koscielny is in the twilight of his career and will need replacing soon. In addition, Sokratis is only a stop-gap, while Shkodran Mustafi has been unreliable. The other two centre-backs at the club – Rob Holding and Konstantinos Mavropanos – are still not considered as regular options, meaning the interest in Andersen makes sense. 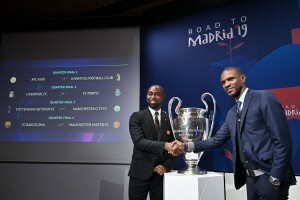 Manchester United, on the other hand, have an urgent need of a centre-back as well, which has seen them target Kalidou Koulibaly among others. But, Andersen could be a cheap, long-term option for the Red Devils to consider, with the Danish international also showing his leadership abilities this season. And so, the potential of having both Andersen and Victor Lindelof at the heart of the defence could be an appealing prospect for Manchester United. As far as Tottenham are concerned, they are likely to be eyeing Andersen as a replacement for Toby Alderweireld, who is set to enter the final year of his contract with the North Londoners in the summer. Should Alderweireld leave, Andersen could be the perfect long-term replacement, making him a viable target for Spurs. In addition to Arsenal, Manchester United and Tottenham, clubs from Serie A and Bundesliga are also interested in signing the Danish international, meaning a transfer battle could be in the offing, especially with the report suggesting that he could be available for as little as €30 million. It now remains to be seen if any of Arsenal, Manchester United or Tottenham manage to bring Joachim Andersen to the Premier League, or if he remains in Italy post the summer transfer window.